Judah Cannon is the middle son of the notorious Cannon clan led by Sherwood, its unflinching and uncompromising patriarch. When Judah returns to his rural hometown of Silas, Florida after a stint in prison, he is determined to move forward and live it clean with his childhood best friend and newly discovered love, Ramey Barrow. Everything soon spirals out of control, though, when a phone call from Sherwood ensnares Judah and Ramey in a complicated web of thievery, brutality and betrayal. Pressured by the unrelenting bonds of blood ties, Judah takes part in robbing the Scorpions, a group of small-time, meth-cooking bikers who are flying down the highway with the score of their lives. Unbeknownst to the Cannons, however, half of the stolen cash in the Harley saddlebags belongs to Sister Tulah, a megalomaniacal Pentecostal preacher who encourages her followers to drink poison and relinquish their bank accounts. When Sister Tulah learns of the robbery, she swears to make both the Cannons and the Scorpions pay, thus bringing all parties into mortal conflict rife with deception and unpredictable power shifts. When Judah's younger brother Benji becomes the unwitting victim in the melee, Judah takes it upon himself to exact revenge, no matter the damage inflicted upon himself and those around him. Judah becomes a driven man, blinded by his need for vengeance and questioning everything he thought he believed in. With Ramey at his side, Judah is forced to take on both the Scorpions and Sister Tulah as he struggles to do the right thing in a world full of wrongs. 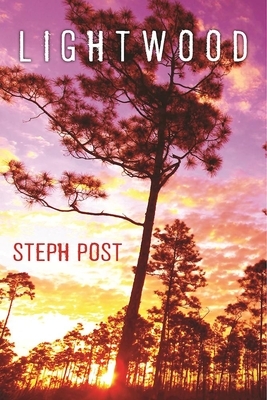 Steph Post is a recipient of the Patricia Cornwell Scholarship for creative writing from Davidson College and the Vereen Bell writing award for fiction. She holds a Master's degree in Graduate Liberal Studies from the University of North Carolina Wilmington. Her short fiction has appeared in Haunted Waters: From the Depths, The Round-Up, The Gambler Mag, Foliate Oak, Kentucky Review, Vending Machine Press, Nonbinary Review and the anthology Stephen King's Contemporary Classics. Her short story "The Pallid Mask" has recently been nominated for a Pushcart Prize. She is a regular contributor to Small Press Book Review and Alternating Current Press and has published numerous book reviews and author interviews. Her first novel, A Tree Born Crooked, was a semi-finalist for The Big Moose Prize and was released in September 2014 by Pandamoon Publishing. She is currently the writing coach at Howard W. Blake High School in Tampa, FL. Visit author's website at stephpostfiction.com or @StephPostAuthor.